We have up to 1.200.000 installed valves all around the world. Why take chances with reversing engineering? 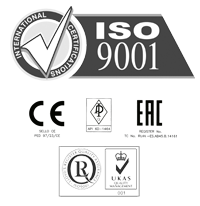 Babcock Valves has a full range of guaranteed spare parts for all our wide range of products, even the oldest ones, just because they are engineered to last longer. In the documentation served with the valve, it is included the plane of the valve with its ID Nr. (TAG/KKS number) This data is enough for us to find any kind of reference. In case of not having this information available, you can find important information at the valve’s nameplate that will help us to serve the right spare part. 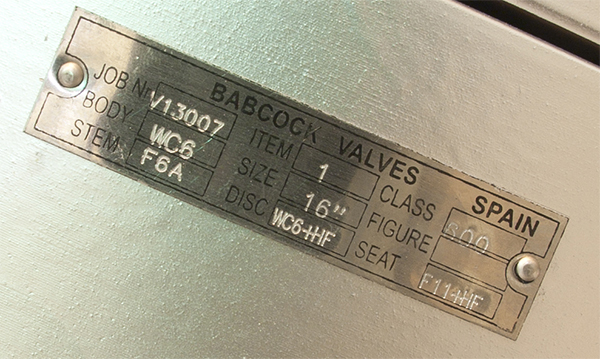 The babcock project number starts with a «V» plus a sequence of 5 numbers or, in older valves, with the number 555. Our older valves are described by an abbreviated code formed by eight numbers and letters, divided into three groups, plus a suffix and material grade. You can find more information about this code here. Collecting this information from the valve´s nameplate, prior to contact, will help us to serve you faster. For any inquiry about spare parts, please, fill the form bellow, and we’ll get back to you, as soon as possible. If Nr. of construction is available, no other info needs to be filled, but the name of the spare part required.